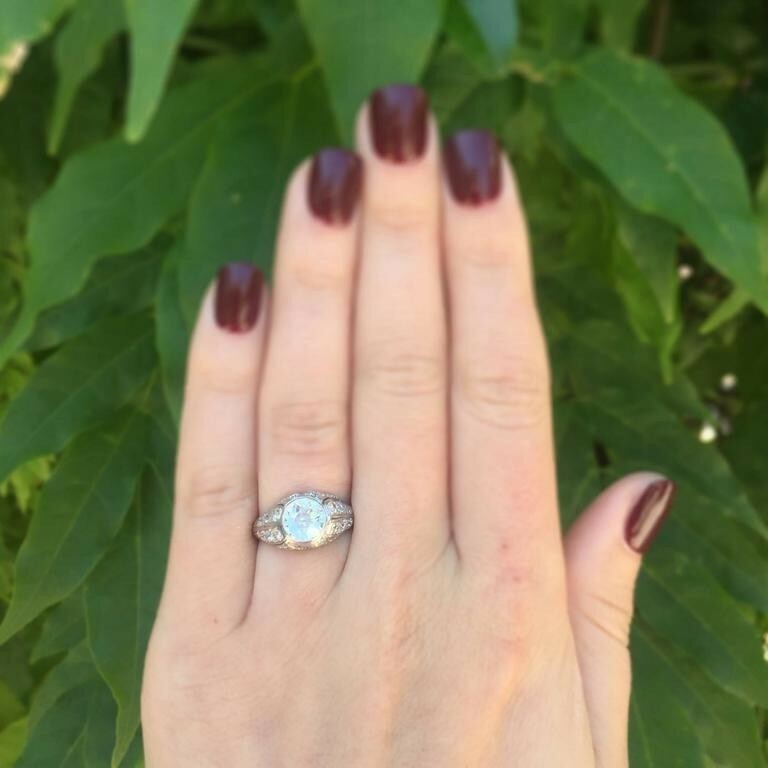 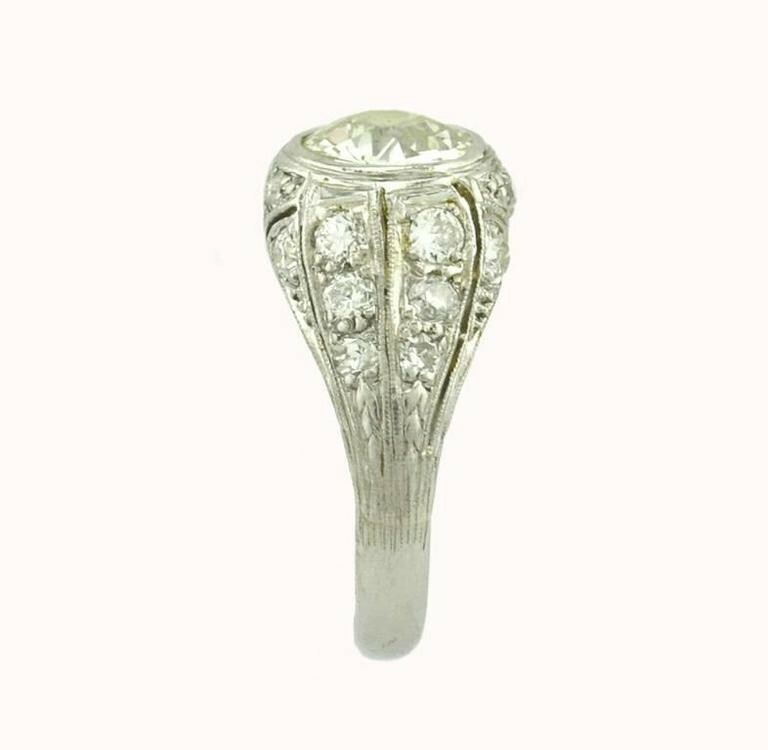 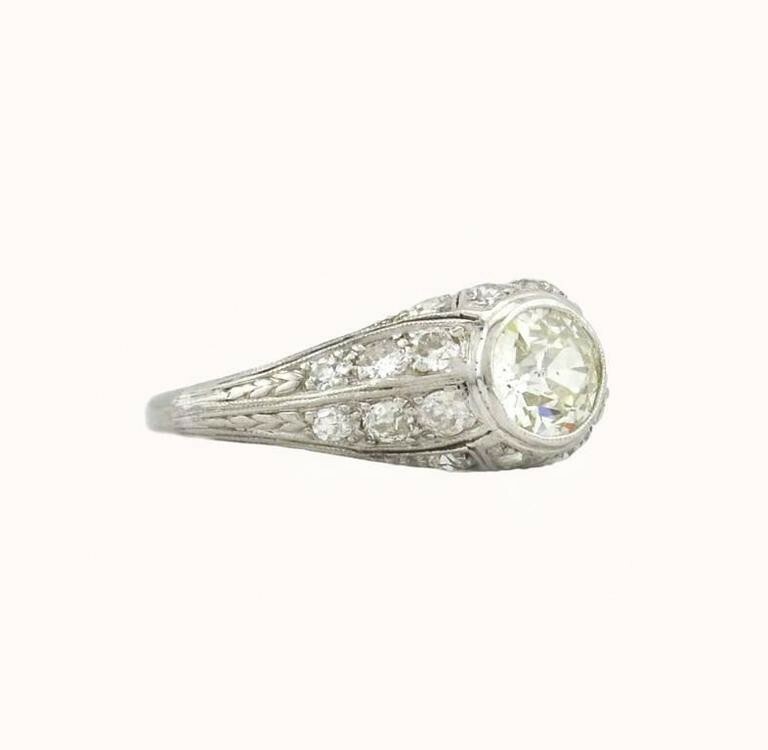 An Art Deco engagement ring from circa 1930. This ring features 1.18 carat Old European Cut diamond that is H-I in color and SI1 in clarity (per EGL USA certificate). 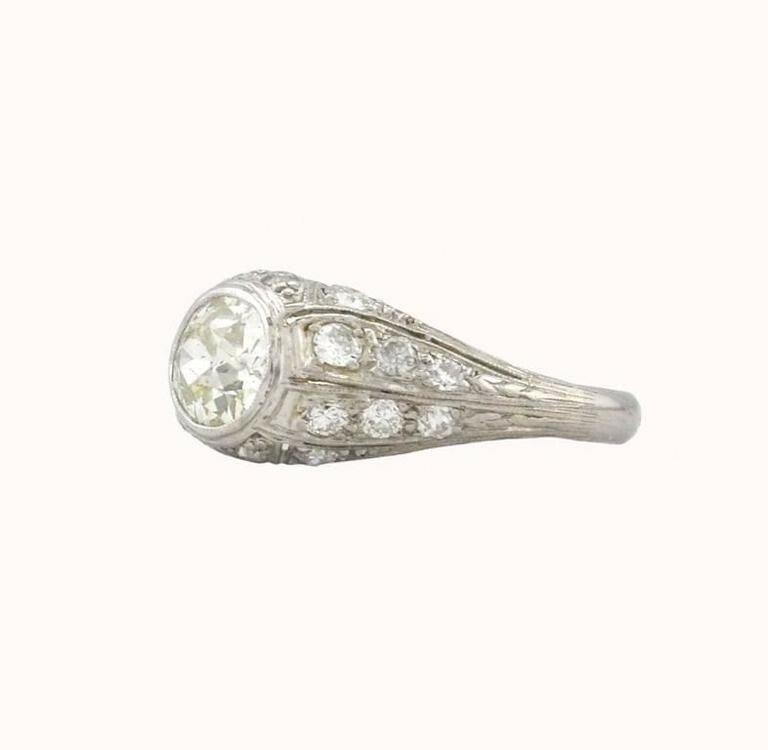 The beautiful setting is decorated further with an additional 20 old cut side diamonds, which total approximately 0.60 carats. 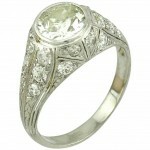 EGL certificate included with purchase. 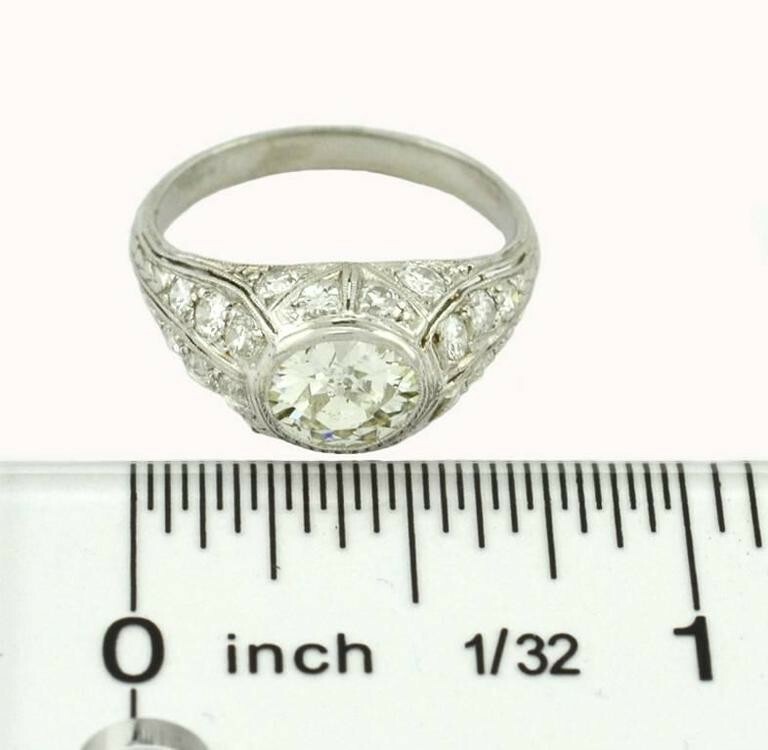 This ring measures approximately 0.40 inches in height (face of the ring) and 0.24 inches in depth (measured from off the finger to the top of the ring).